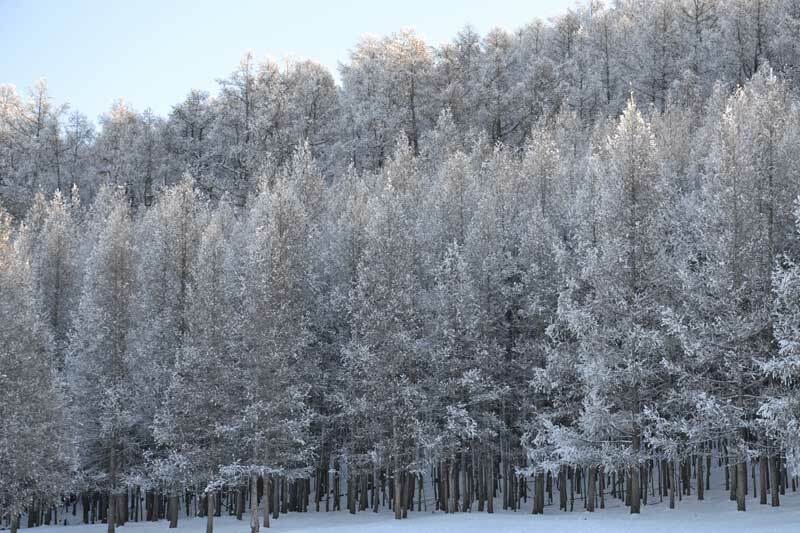 It is often mistakenly thought that it is almost impossible to travel in Mongolia during the winter. But a well-prepared trip with proper packing and good vehicles can show you some of the most incredible facets of Mongolia, the sights and sounds of winter. Here’s a short photo journal taken during one of our recent trips in the picturesque Lake Hovsgol of Northern Mongolia and its adjacent Darhad Valley. 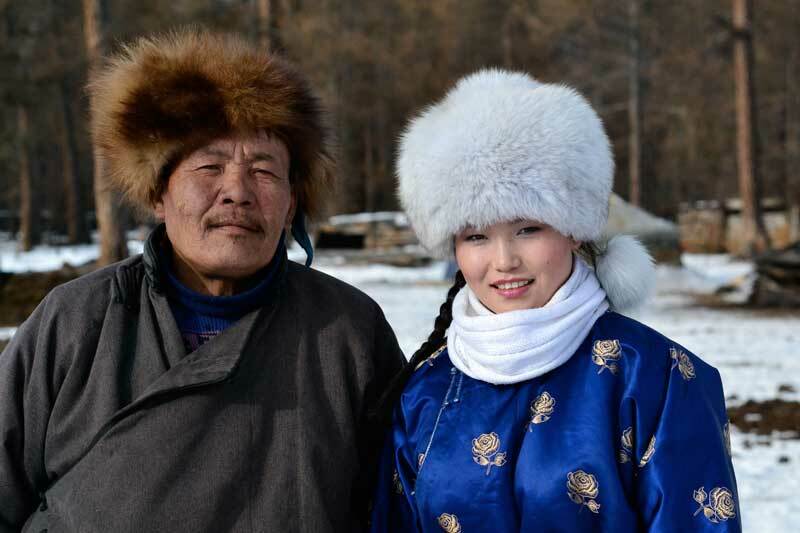 One of the highlights of the journey is meeting local Mongolians and enjoying their hospitality. 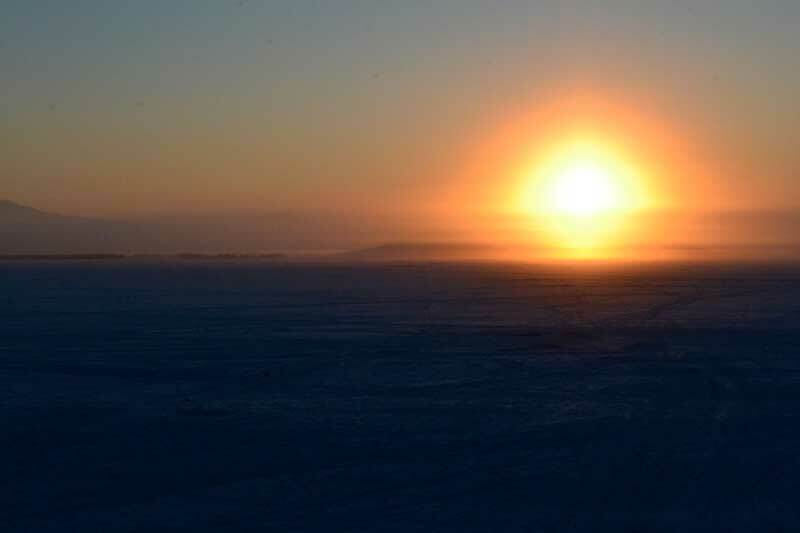 The morning sun in northern Mongolia, in an area known as Darhad Valley pierces through -40 Celsius air for a new day. The cold air could make you sometimes think you could hear your breathing air cracking and freezing in mid air. The midday sun reveals taiga forest which covers much of the Darhad Valley. Most of is made of larch trees but you will also see spurs, pines and birch trees mixed together in many areas, providing an important habitat area for the winter species who live in the forest. Looks like an ideal location for Mongolian Christmas. The area is devoid of any human activities such as tourism or industry except the local nomads who have lived in this area for generations after generations. 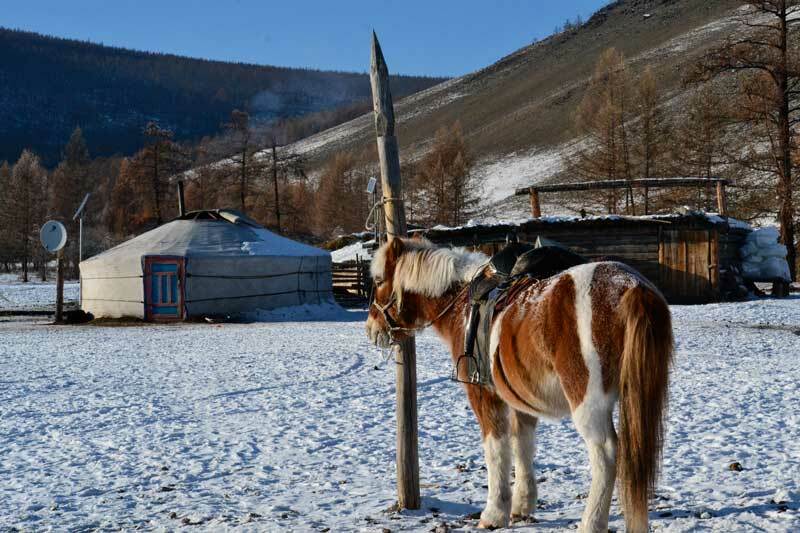 Visiting a winter camp of Mongolian nomads would introduce you yet to another facet of nomadic lifestyle. Inside of a ger is cozy with warm fire and herders will treat you with some of their best preserved meat. Locals get their drinking water from the nearby fresh water lake which is often frozen upto 3 feet deep. 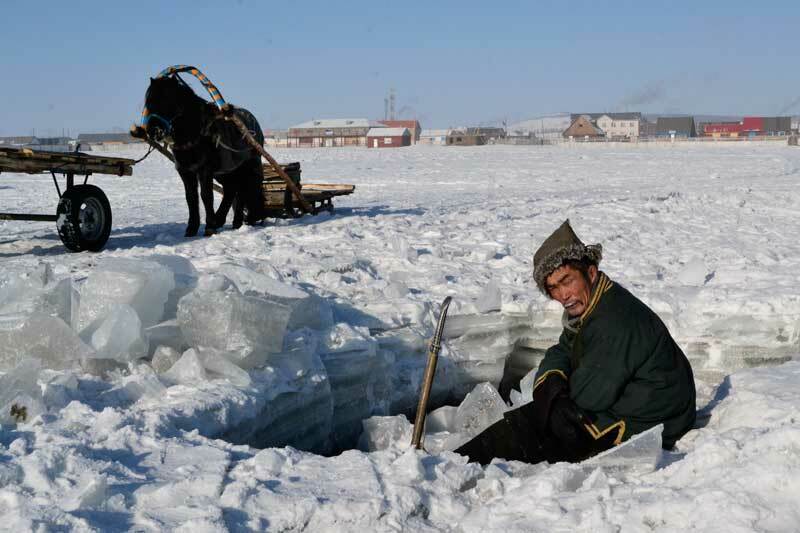 Using shovels and spades, ice is retrieved and then carried to the household using horse-led sledge. 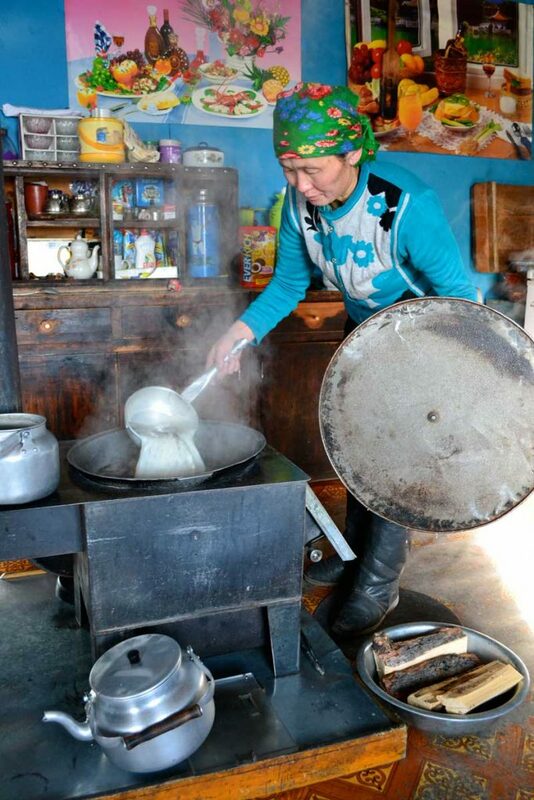 A traditional Mongolian milk tea is served which Mongolian love to sip and drink while relaxing in between their daily chores. Horses with their winter coats are herded to their pasture land during the day. 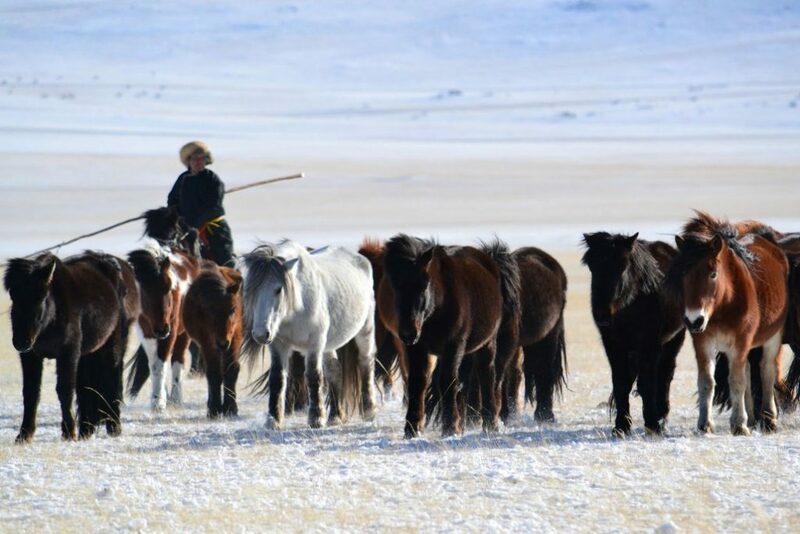 They dig through thick snow blanket to feed on and survive through the long Mongolian winter. In winter, sun sets over the mountains at around 6:30 pm. 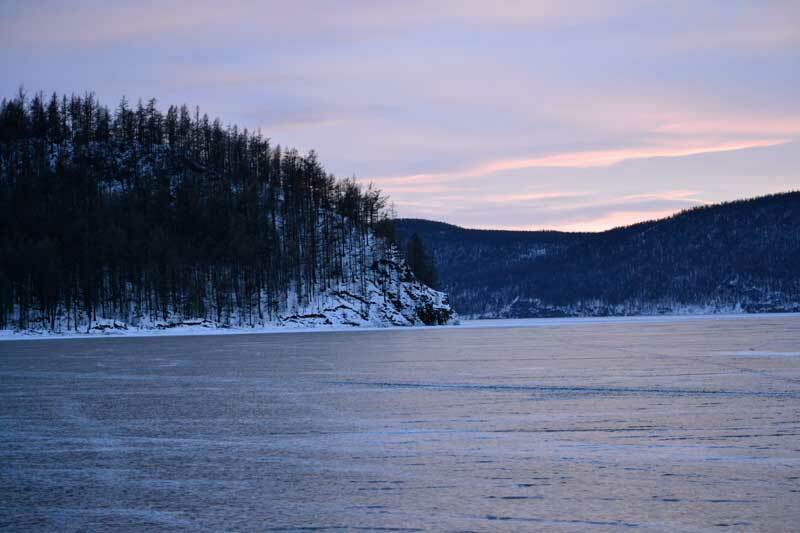 The highlight of the journey is then arriving at the Lake Hovsgol, considered as the head water to Lake Baikal. Containing over 70% of Mongolia’s fresh water, this surface of this alpine lake freezes over in December and the ice sheet, measuring as much as 3.5 feet, remain on the lake until the first week of June. Make sure you bring you ice skates if you plan to visit the lake during this time of the year as its ice surface is as smooth as a mirror in many parts of the lake.